Time until War Gods release day! Billions of years ago, a Being from a distant galaxy was transporting a precious cargo of life giving Ore. The turbulent formation of our solar system caused his ship to crash, scattering Ore over the molten surface of Planet Earth. Through the millennia, Ten Humans came into contact with the Ore and were transformed into super-evolved warriors. 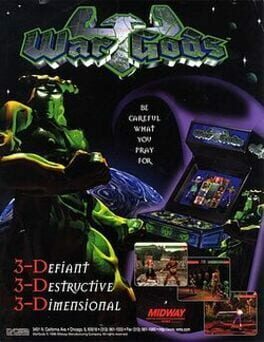 These are the WarGods.